From the forthcoming album Indecent Proposal available on Blackground Records. In stores 11.20.2001. 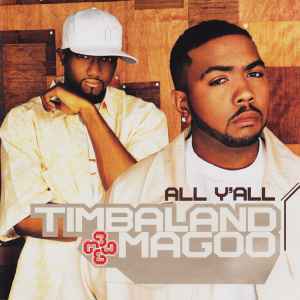 Produced [...] for Timbaland Productions, Inc.
All tracks published by: Virginia Beach Music/WB Music Corp./Mag-A-ooh Music/Black Fountain Music/EMI-April Music Inc./FoShawna Music/Mass Confusion Music/757 Music (ASCAP). Track 1: duration printed on back cover: 3:57. Actual duration noted above. Track 2: duration printed on back cover: 3:57. Actual duration noted above. Track 3: duration printed on back cover: 3:57. Actual duration noted above. Track 4: duration printed on back cover: 3:57. Actual duration noted above. - Tweet appears courtesy of The Gold Mind, Inc./Elektra Entertainment Group. ℗ & © 2001 Blackground Records, LLC. Matrix / Runout (Text): MASTERED BY EMI MFG.